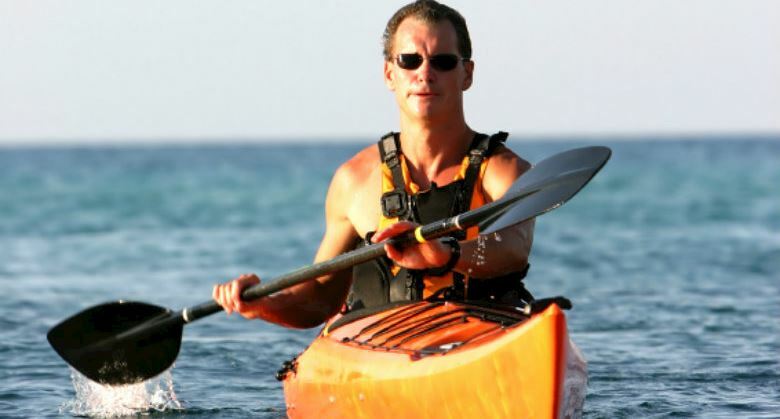 The Rehoboth Beach & Cape Henlopen areas have an abundance of kayaking excursions for all skill levels and interests. Expect bird-viewing opportunities while you paddle your way through the back bay ecosystems of the Rehoboth Bay. Explore the Outer Wall of the Delaware Bay and gain a deeper appreciation of nature as you paddle near pods of friendly dolphins. At the mouth of Delaware Bay, you'll also see the historic Harbor Lighthouse of Delaware's coastline. Anglers flock to Delaware Seashore's ample fishing spots for flounder, striper, and all sorts of fish. A popular spot is the Fishing Pier at Cape Henlopen State Park in Historic Lewes, DE. 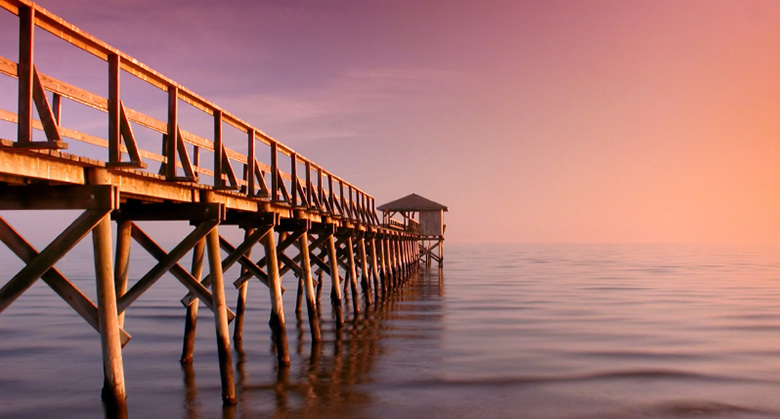 Enjoy the quarter-mile long fishing pier as you work to catch your trophy fish. There's even a bait and tackle concession if you need fishing supplies or snacks. The pier is also ideal for crabbing or just soaking up the striking view of the Delaware Bay sunset. Beginners and expert kayakers are welcomed to venture off on an adventurous quest along Delaware Bay and the Atlantic Ocean. Take a guided kayak or stand-up paddle board tour led by expert guides to catch glimpses of dolphins, the lighthouse, and dramatic sunsets. Rent a kayak, a stand-up paddle board, or a floating party mat. Bring your poles and drop your hook in the salt waters of Delaware's Atlantic Coast in Cape Henlopen State Park. Choose your fishing spot from the quarter-mile pier and get ready to catch your much-anticipated, prized fish. Take advantage of the fishing shop where you can buy fishing gear, bait and tackle, and rent rods or reels. Two miles north of the Indian River Inlet, is the Delaware Seashore State Park, home to Old Inlet Bait and Tackle. Get all the necessary fishing gear and equipment before you venture off into the tidal waters. Test your surf-fishing skills at the Annual Spring Surf-Fishing Tournament. 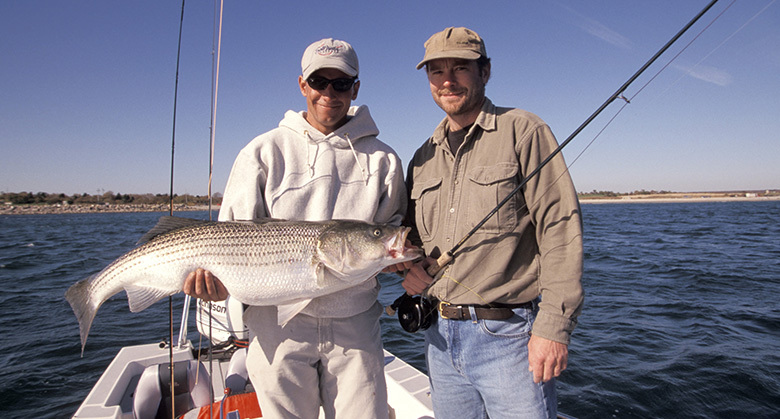 Fish for great striper, bluefish, or even a Mahi-Mahi. Get ready to drop your lines and wheel them in when fishing on the waters of Delaware. Enjoy some of the best fishing charters in the area offering inshore bottom, ocean bottom, and wreck fishing. Enjoy a full day of fishing for trophy fish aboard First Light Charters, Judy V, and the 37' GRIZZLY, a fiberglass sportfishing vessel. Do I need a fishing license in delaware? A general fishing license is required for fishing, crabbing, or clamming throughout the State of Delaware f you’re a resident of Delaware, the annual license fee is $8.50. For non-residents, the license fee is $20 per year. You can get a seven-day tourist license fee for $12.50. These licenses allow you to fish in any of Delaware’s fresh and tidal waters, which you can also use for crabbing and clamming. A fishing license is good through the end of calendar year in which it was issued. 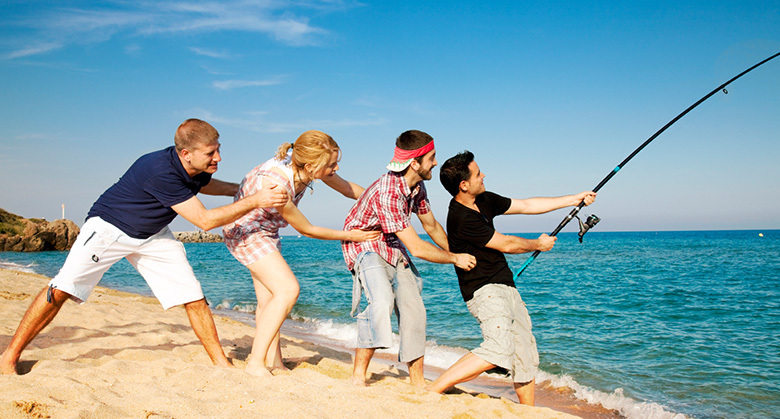 Where are the best places for surf fishing in Rehoboth Beach? Delaware’s Rehoboth Beach is a prime spot for surf-fishing. There are plenty of scenic state parks in the area with beaches that are ideal for surf-fishing. We suggest checking out Cape Henlopen State Park in Lewes where you might get lucky and catch a shark. You can also fish off of Dewey Beach and bring home your own striper.